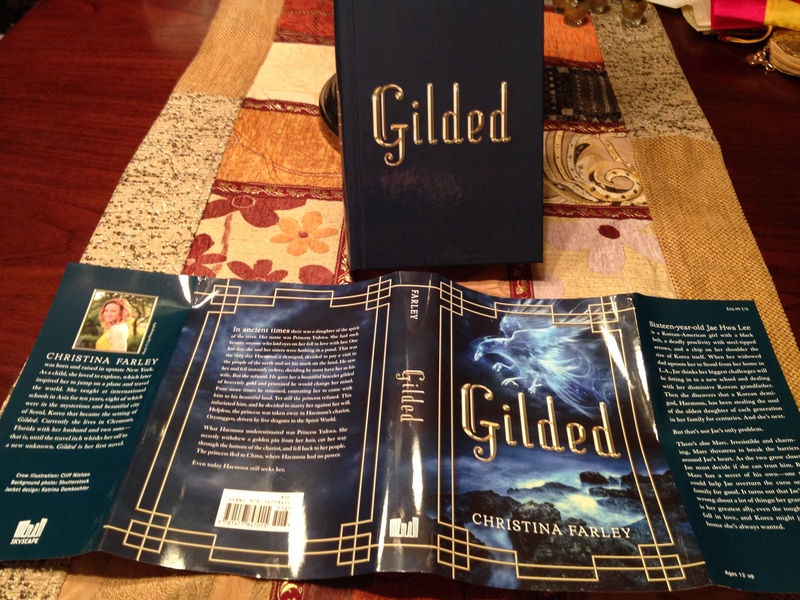 As you may remember, a box arrived from Skyscape full of paperbacks of GILDED. Much to my surprise ANOTHER box arrived and this one was filled with hardcovers! They are so pretty, and yes, these smell perfect, too! Thank you Skyscape! My favorite part other than the awesome jacket is the paper binding inside. It looks just like rice paper. What a perfect touch. They look so pretty on my bookshelf, don’t they? 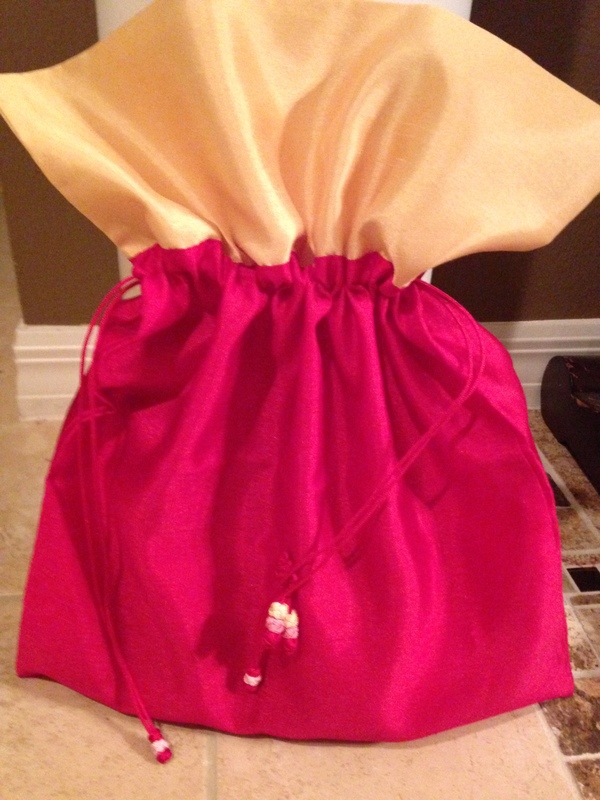 As much as I adore having stacks and stacks of my own book (excuse me while I scream and run around the room over that statement), a bunch of these were promptly sent off in Korean silk bags to the Brilliant Ones (my crit partners). 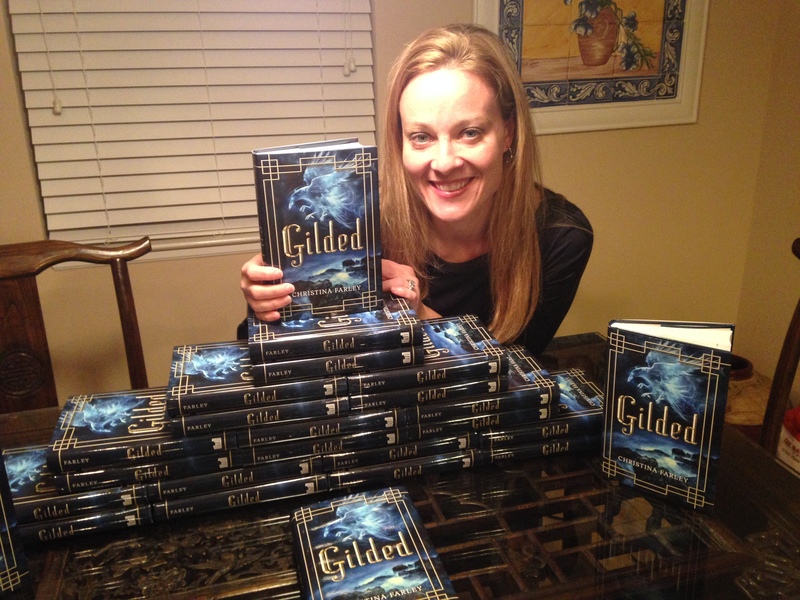 Also, I was interviewed over at SL Huang’s blog on Why/Why Not: GILDED. 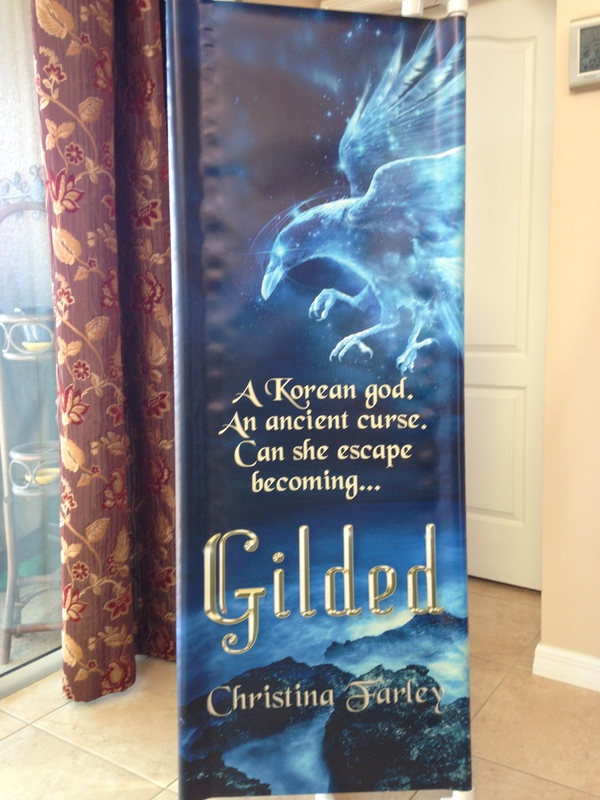 And I love this vlog review of GILDED by Andy Capricorn. Check it out! 2 Responses to Hardcovers Arrived! Nice interview, Christina. I’ll be getting your book SOON! Rice paper finish? Wha??? That is so freaking cool.